My Opinion as to Pope Francis Answering the Four Cardinals' "Dubia"
I stated many times in the combox for my long recent post on the topic that I think it would be good for him to answer and clarify: that it is *always* better to clarify than not to. I'm very reluctant to criticize the pope at all, due to my very strong Catholic reverence for the office (NOT due to some silly notion that he can never be criticized, which I have NEVER believed), but I have to call it as I see it, as an apologist who may be asked about it. I know from my own experience as a writer and apologist (which is a teaching function), that writers can be misinterpreted. Writing is an inexact art and we are too often insufficiently clear and precise: all the more so in proportion to the complexity of the subject matter. So if I am asked questions about *my* meaning and intent, I'm always quick (and glad) to clarify. In fact, I *appreciate* the opportunity, because I figure that if this one person didn't accurately understand me (either through his fault or mine, or both), chances are there are many others out there who also didn't. It helps no one, and hinders the development of a topic, to not be properly understood. Infinitely more so for the pope, who is the leader of all Catholics and our supreme teacher, if any one person can be said to be so . . . This topic (exactly who in difficult marital situations can receive Holy Communion, and why) is, of course, very complex, too. So that is a second good reason, I believe, and humbly submit, for him to clarify. Whether a non-answer "proves" he is a liberal or heterodox in general and/or on the disputed point, is another matter entirely. I would think not; however, it may very well make him *look* like he is, or that he is being "stubborn" or unnecessarily intransigent, or lacking pastoral and prudential wisdom, etc.. and that isn't good, especially given the wide and ever-growing "skepticism" or criticism sent his way, about this, and in general. It's becoming increasingly inexplicable why he would not simply clarify the thing and be done with it. Again, that's not the same as denying that he may have a good reason; only to assert that it is difficult (as this thing becomes more and more controversial) to speculate as to what it might be. I haven't reversed myself, compared to what I wrote before, because I said this many times in the comments under my post, but one might say I have considerably "developed" my opinion and have a little bit more perplexity (in terms of speculation) than I had when I wrote my piece. Could it be that Cardinal Burke simply refused to listen to (or accept) this new/different pastoral approach at all? They had two synods in October 2014 and 2015. The pope and many others could have tried to explain but Burke was not ready to understand or refused to accept? What Pope Francis has proposed is a different pastoral approach which probably JPII had not thought of. So in answer to the dubia, if the pope said no, he is damned by the close-ended questions and will be accused of heresy. If he said yes, he would be lying and not telling the truth. This is like a student whom you are trying to teach binary systems and he keeps trying to do decimal numbers and so keeps asking you to answer whether 1+1=2. And if you say no, you are considered heretical. If you say yes, he learns nothing. Dave: Interesting take. I still think he should answer, to clarify things, though. Confusion is not good. We don't need another "post-Vatican II fiasco" again: where orthodox teaching is widely misinterpreted by those who didn't want to accept it. Jo: Somehow I feel the explanation, if given, still won't go down well with the cardinals who raised the dubia. On the other hand, a publicly reported explanation could render the pastoral approach not very effective. "What in the heck am I supposed to do with this as a parish priest? What is a situation in which a person in a non-celibate irregular union can be admitted to communion?" A fair question, I think. St. John Paul II lays this out pretty clearly in FC 84; to be able to receive the Eucharist, the couple must firmly resolve not to commit adultery anymore by remaining celibate, living as "brother and sister." As it always works in the Sacrament of Reconciliation with any sin we commit, there must be a firm purpose of amendment. So if they slip up, and are truly sorry, they can be absolved in the Sacrament of Reconciliation once again thanks to their pastor accompanying them on their path to holiness. I think this is the accompaniment Pope Francis would like to see, and doesn't deviate from Church teaching. But some are suggesting that AL opens the door for other ways to return to the Eucharist without having a firm purpose of amendment to refrain from adulterous acts. If they are right, what are the other ways, besides those spelled out by St. John Paul, that such couples can be readmitted to reception of the Eucharist? This is not clear, and the cardinals are certainly within their rights as shepherds to ask for clarification on an issue that will affect the state of the soul for many people. "But it remains the case that certain actions are absolutely prohibited, for in no instance is it possible to choose them with a good will. 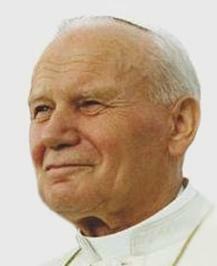 As St. John Paul II explains, certain positive commandments, while unchanging and universal, admit of widely varying means to accomplish them. Moreover, at times external circumstances can impede a person’s ability to perform such good acts. There are negative commandments, or prohibitions, on the other hand, which are universally binding in each and every circumstance. The entire letter is a great read, and Archbishop Sample explains things very well. I just pray that this will all be peacefully resolved without anymore division. Tom: Jo, as I understand, the Dubium was raised in private, and Cardinal Burke has been and is a loving and pastoral man who treats those he ministers to with love and mercy. I think we all need to remember that bishops and priests will be held accountable by our Lord God and Savior Jesus Christ for what they preach to us and where they lead us - This is repeated over and over in both Scripture and the Tradition of the Church. Scripture even goes so far as to say that our blood will be required at their hands if we fall after they've failed to warn us. Jo: Tom, Burke may have good intentions but he is simply not ready to learn or accept this gentler pastoral approach. A probable interpretation of that move: That is an invitation to journey with a missionary of mercy who could help them regularise their situations. 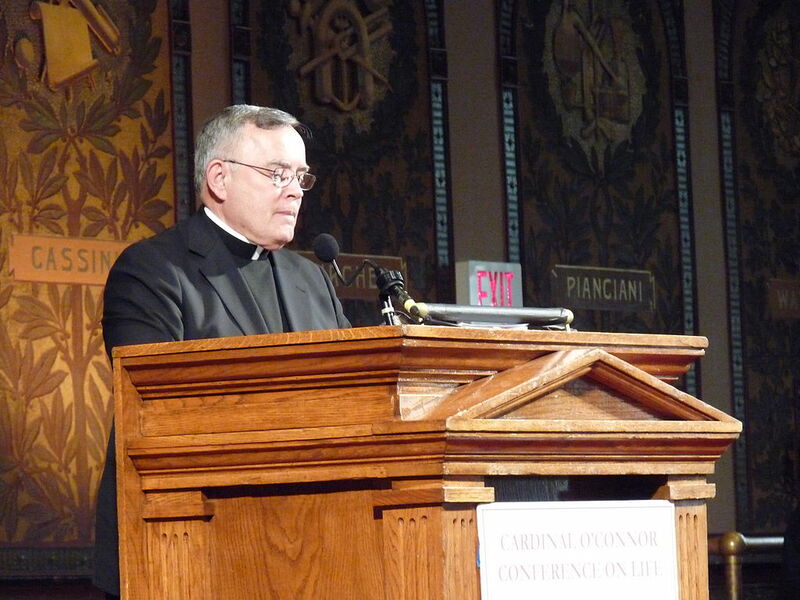 Chaput did his guidelines the "wrong" way, not inviting to those who are lost sheep. Yes, there could be discussion wrt (sic) pastoral guidelines. This is like in a classroom: some students get what you are trying to explain and some don't. Is it your fault for not explaining properly or the student is simply not ready to understand? Maybe both. Farrell suggests that there should have been discussion of pastoral guidelines before the bishops go back and issue the wrong guidelines. This is hindsight wisdom. Anyone, even erudite ones, might have missed that step. Farrell, by the way, is in charge of the new dicastery for families etc. He probably has the authority and Chaput should listen to him. Kasper... "German cardinal stresses doctrine is unchanged but instead gives room for conscience"
A probable interpretation: Remarried couples who in their conscience, did no serious wrong, could approach and journey with a missionary of mercy (who has the undeclared intention of and who could regularise their situations). Nicolas: Jo, I am familiar with Bishop McElroy's interpretation, as well as what the Diocese of San Diego reported at their recent synod. The Diocese of San Diego's (and presumably Bishop McElroy's interpretation) is at odds with what the Archdiocese of Portland and Archbishop Sample has declared. As for Cardinal Farrell and Archbishop Chaput... 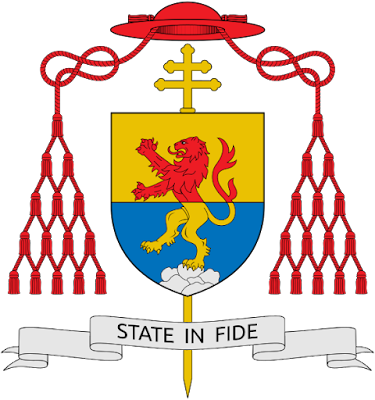 I don't believe the Cardinal has authority over Archbishop Chaput. The Cardinal didn't receive his position in the diacastery until September, and Archbishop Chaput issued his Archdiocese's guidelines in July. Also this past September, the former head of the USCCB, Archbishop Kurtz of Louisville, issued a statement on AL in which he said that a report had been sent to Rome on the “reception and implementation” of the apostolic exhortation. “As noted in the report,” he said, “the church in the United States has already eagerly begun to implement the teaching” of the document in numerous ways. Archbishop Kurtz said he anticipated the development “of a renewed, comprehensive pastoral plan for marriage and family life ministry” over the “next few years.” Who produced that report that was sent to Rome? The U.S. bishops’ ad hoc committee for implementing AL... headed by Archbishop Chaput. The Archbishop has done nothing wrong, and for Cardinal Farrell to suggest as much is pretty sad. All Archbishop Chaput did was reiterate the definitive teaching of the Church, as articulated by St. John Paul II: any divorced and civilly remarried couples who have not received an annulment cannot be admitted to Holy Communion unless they live in continence as "brother and sister". If such couples freely chose not to live in continence, they would be committing what the Church defines as adultery. "Because both the final synod document and Pope Francis in Amoris Laetitia encouraged local bishops to do so. Actually you ask a rather odd question. It’s more sensible to ask: Why would a bishop delay interpreting and applying Amoris Laetitia for the benefit of his people? On a matter as vital as sacramental marriage, hesitation and ambiguity are neither wise nor charitable. "You’ll recall, I’m sure, that I was a delegate to the 2015 synod and then elected and appointed to the synod’s permanent council. So I’m familiar with the material and its context in a way that Cardinal-designate Farrell may not be." "We live that fidelity (to the Pope) by doing the work we were ordained to do as bishops. Under canon law — not to mention common sense — governance of a diocese belongs to the local bishop as a successor of the apostles, not to a conference, though bishops’ conferences can often provide a valuable forum for discussion. 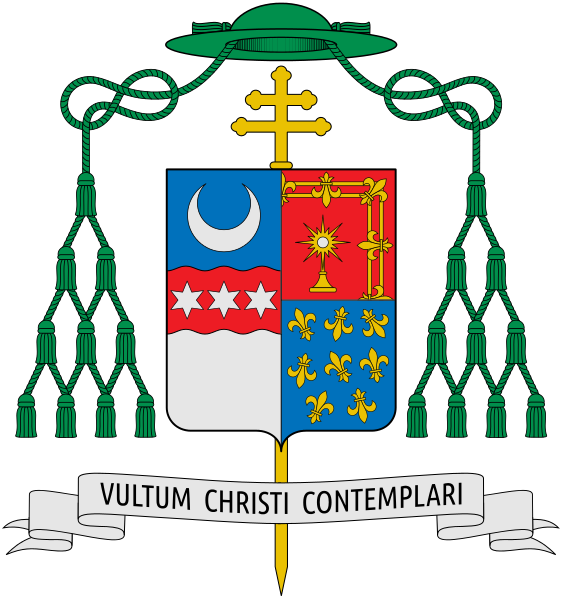 As a former resident bishop, the cardinal-designate surely knows this, which makes his comments all the more puzzling..."
Archbishop Chaput acknowledges life is messy, but he knows full well, and agrees with Archbishop Sample and the perennial teaching of the Church: "There are negative commandments, or prohibitions... which are universally binding in each and every circumstance. They admit of no exceptions whatsoever and can never be chosen, in any way or for any reason, in 'conformity with the dignity of the person' or with the 'goodness of the will.'" To not commit adultery is one of those negative commandments. So are you really saying Chaput did his guidelines wrong, or are you merely suggesting that is what you believe Cardinal Farrell believes? Archbishop Chaput should be lauded for his fidelity to Christ and His Church through what he has written in the guidelines for his archdiocese. "What is a situation in which a person in a non-celibate irregular union can be admitted to Communion?" There's nothing wrong with accompanying such couples. However, if during this accompaniment the couple discerns in the internal forum, and as Bishop McElroy says, that "Some Catholics engaging in this process of discernment... conclude that God is calling them to return to full participation in the life of the Church and the Eucharist [while] others will conclude that they should wait, or that their return would hurt others"... how does this not contradict what St John Paul has taught, and what the Church has always taught regarding negative commandments which admit of no exceptions? How can one resolve to sin no more if they discern that continuing sexual relations is OK? These are difficult cases which should be treated delicately, but we must remain in the truth of Christ and proclaim it. This is why I hope the dubia submitted by the four cardinals will be answered; to dispel any notion that there can be a rupture with prior magisterial teaching. Because this appears to be what is being suggested by some. This article by Ross Douthat in the New York Times is particularly relevant, and I hope you'll take the time to read it. Jo: Nick, I can't quite grasp the whole picture. "I am divorced, though not remarried, but I can imagine the awkwardness of certain situations well enough (especially if they involved my husband of late, but the less said about that the better). I cannot imagine Pope Francis going against Church teaching. He has routinely said that he affirms what has been taught so far, so then, we must read AL in that light. Period. To accuse him of anything else would be doing him a grave injustice. There is no concrete evidence to bear that out. As for all the confusion about it, I wonder if he is not just trying to push the boundary of mercy to its furthest limit (which would be very much in keeping with his character), and yet he himself does not know exactly what those limits are. 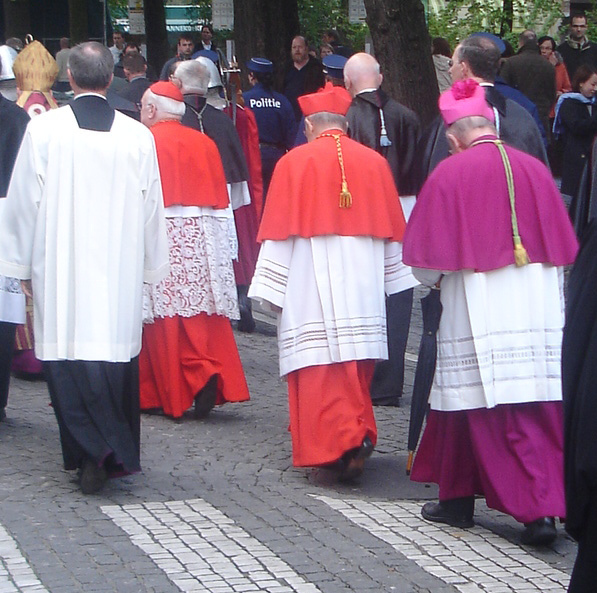 With the Synod on the Family, he seemed to be seeking out what others thought in this area. Pushing mercy to its furthest limits though does not mean that he is trying to withdraw or do away with justice. Love requires both justice and mercy. Certainly none of us can accuse Pope Francis of not being full of charity. Perhaps he is the "big picture" person which may be in character with his Jesuit formation as well as his Mediterranean culture. Perhaps he is wanting the detail oriented people to actually delineate the furthest boundary of mercy, and he is just waiting for them to do so. Oh well. It's a thought at least. I trust him though. His character has spoken very loudly as to who he is." I still think Chaput's guidelines do not reflect the gentler pastoral approach advocated by AL. Nicholas: "As for all the confusion about it, I wonder if he is not just trying to push the boundary of mercy to its furthest limit (which would be very much in keeping with his character), and yet he himself does not know exactly what those limits are." This could be true, Jo. There are limits though as to how far one can go on mercy before it becomes a "false mercy". This is why there needs to be clarification. As I quoted Archbishop Chaput above, "Mercy and compassion cannot be separated from truth and remain legitimate virtues. The Church cannot contradict or circumvent Scripture and her own magisterium without invalidating her mission"
I tried to be as concise as I could in my last post (although i guess that didn't work out seeing how long it is LOL! ), but if you aren't quite grasping the whole picture, I do encourage you to read the article I posted by Douthat at the end of my last post, as well as Archbishop Sample's Apostolic Letter on Amoris Laetitia, in their entirety. I'll post the link to Archbishop Sample's letter again. I truly think by reading it fully, you'll be able to grasp more of what I've been saying. Archbishop Sample has a very different interpretation from Cardinal Kasper and Bishop McElroy, yet shows that AL works in light of constant Catholic tradition, and St. John Paul's words in Familiaris Consortio 84. Jo: (1) I have read Douthat's article. It seems pretty focused on McElroy. It's possible that McElroy is on the very liberal/progressive side. And that with or without AL, that could be his refrain. And that's why I'm quite positive Chaput had come on too strong with his penitential requirements and not enough on being inviting to lost sheep who need accompaniment. (3) I still think the four cardinals and many other people (as a result) are over-reacting. Nicholas: 1. I agree. With or without AL, he could be advocating this either way. But the fact of the matter is, he's using AL to push this refrain of his right now. "The divorced and remarried should be welcomed by the Catholic community. Pastors should ensure that such persons do not consider themselves as “outside” the Church. On the contrary, as baptized persons, they can (and should) share in her life. They are invited to attend Mass, to pray, and to take part in the activities of the parish." "At the same time, as Amoris Laetitia notes, priests should 'accompany [the divorced and remarried] in helping them to understand their situation according to the teaching of the Church and the guidelines of the bishop... In light of this, priests must help the divorced and civilly-remarried to form their consciences according to the truth. This is a true work of mercy. It should be undertaken with patience, compassion and a genuine desire for the good of all concerned, sensitive to the wounds of each person, and gently leading each toward the Lord." It's clear to me that Archbishop Chaput is heeding Pope Francis' call by saying this welcoming accompaniment in the Sacrament of Reconciliation should be "undertaken with... compassion". Now when you say Archbishop Chaput's penitential guidelines have "come on too strong", I'd like you to compare them with St. John Paul II's "guidelines" in Familiaris Consortio. "With divorced and civilly-remarried persons, Church teaching requires them to refrain from sexual intimacy... Undertaking to live as brother and sister is necessary for the divorced and civilly-remarried to receive reconciliation in the Sacrament of Penance, which could then open the way to the Eucharist. Such individuals are encouraged to approach the Sacrament of Penance regularly, having recourse to God’s great mercy in that sacrament if they fail in chastity." "I earnestly call upon pastors and the whole community of the faithful to help the divorced, and with solicitous care to make sure that they do not consider themselves as separated from the Church, for as baptized persons they can, and indeed must, share in her life. They should be encouraged to listen to the word of God, to attend the Sacrifice of the Mass, to persevere in prayer, to contribute to works of charity and to community efforts in favor of justice, to bring up their children in the Christian faith, to cultivate the spirit and practice of penance and thus implore, day by day, God's grace. My question then, Jo, is how do these statements from Archbishop Chaput and St. John Paul Il differ? I see no difference in their tone, nor in their teaching of the Church's timeless truth on the matter. If Archbishop Chaput's guidelines are not "gentle" enough, or are "too strong", then are St. John Paul's words not gentle enough either? And more importantly, even if the words of these two men aren't "gentle"... does it make their statements (especially St. John Paul's) any less true? 3. I disagree. I do not believe there is an overreaction, precisely for the reason you've given in your #1. If Bishop McElroy is reading AL in light of his own "liberal/progressive" refrain, then the first question of the dubia is not an over reaction and will clear up whether Bishop McElroy's interpretation of Chapter 8 of AL is correct, or if Archbishop Chaput's interpretation (which follows the example of St. John Paul II) is correct. Jo: 2. If what Chaput does is no different from JPII, then he still hasn't learnt the new gentler approach. 3. So if the pope said no, he is damned by the close-ended questions and will be accused of heresy. If he said yes, he wouldn't be telling the truth. Either way, Burke is not going to learn the new pastoral approach from the answers to his dubia. Nicholas: Jo, I don't know what you're reading, but St. John Paul IS "inviting" first. He explicitly says those divorced people "must share in [the Church's] life" and "should be encouraged... to attend the Sacrifice of the Mass... [and] to cultivate the spirit and practice of penance". Then he immediately proclaims the Church's perennial teaching and truth, "the Church reaffirms her practice, which is based upon Sacred Scripture, of not admitting to Eucharistic Communion divorced persons who have remarried". I honestly have no idea how you can say St. John Paul is not inviting of lost sheep. Even if you do perceive St. John Paul as "uninviting" can you at least admit that he is right as he has exercised the Ordinary Magisterium in FC 84? There's a difference between mercy and false mercy. To admit such people to the Eucharist who haven't obtained an annulment, and have no intention of stopping adulterous acts, would be profaning the Eucharist, per the teachings of Scripture and the Magisterium. To do so would not be merciful or "inviting" as you say, unless your plan is to invite such people into a harmful state for their souls. The thing is Jo, the situation is binary, if one does not meet the stipulations set forth by St. John Paul... That is, to live in continence and firmly resolve in Reconciliation not to commit adultery again. At the risk of repeating myself, there are no exceptions to negative commandments such as "you shall not commit adultery". There is no such thing as "good" or "permissible" adultery. We must remain in the Truth of Christ.